As the season draws to a close, we pinpoint three teams that look overpriced ahead of Saturday’s set of fixtures. There can be no denying that Accrington are on a poor run of form, but they could hardly have asked for a better opportunity to bounce back than playing a deflated Walsall side at home. Not only are Walsall, who’ve lost five of their last six on the road and have conceded at least twice in five of those six, in an even worse position than Stanley in the league, but they’ve done much worse away from home against the weaker teams than Accrington have at home. Against bottom-eight teams at home, Stanley boast a pleasing average of 1.84 expected goals for, while they’ve shipped an average of just 0.95. In contrast, Walsall average 1.41 expected goals for away against bottom-eight sides, while they’ve conceded an average of 1.66. The bottom line is that this is an excellent opportunity for Stanley, who played well in the week, to bounce back, and they’re fancied to take it. Click here to read our full match preview for Accrington vs Walsall. Going against the imperious Luton Town won’t be for everyone, though if there’s one team that could get the better of the Hatters between now and the end of the campaign, then it’s Lee Bowyer’s Addicks, who’ve been fantastic on home soil this season. Luton have made light work of beating lots of teams this season, but they certainly won’t have it easy at The Valley on Saturday afternoon. As things stand, Charlton have League One’s second-best home defensive record. Only Barnsley have conceded less goals at home than the Addicks, who’ve shipped just 14 goals in 20 home matches this season. Moreover, Bowyer’s men boast a better average goal difference and a better average expected goal difference at home than Luton do on the road. Our Charlton vs Luton preview can be read here. It may well be that Luton turn out to be too good, after all, they’re not short of individual quality, though when we take everything into consideration, the hosts simply look too big a price and are thus worth supporting to get the job done. 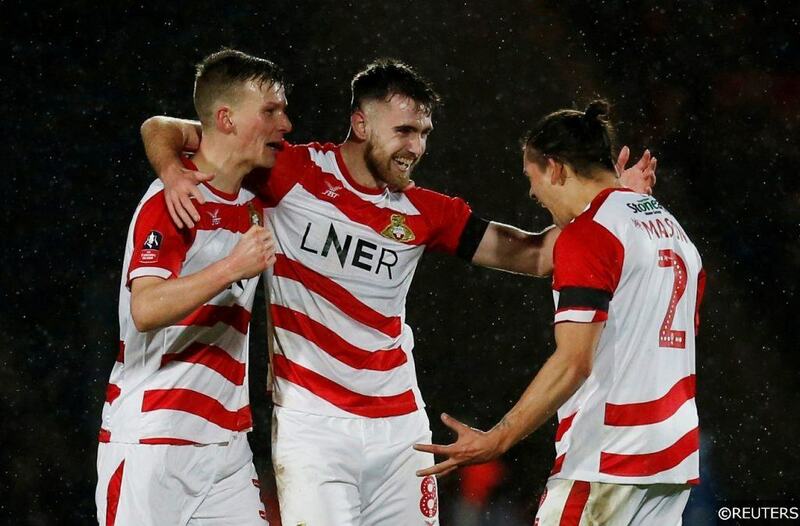 For some time, Doncaster looked to be heading out of the top six, though they’ve turned on the style in recent weeks, especially at home. Having thrashed both Bristol Rovers and Walsall at home in recent weeks, scoring seven goals in the process, Grant McCann’s men ought to be capable of bettering a Plymouth side that has struggled massively on the road this season. Only Bradford have conceded more expected goals than Plymouth in the third division during the current campaign, while Doncaster currently rank as League One’s third best in terms of expected goals for. Add in the fact that the hosts boast an average goal difference of +1.05 – Plymouth have an average goal difference of -0.7 and an average expected goal difference of -0.99 on the road – and they look a reasonably big price against an inferior visiting side. Categories: Blog and Football. Tags: League One. Team Tag: Accrington, charlton, and doncaster. League: England League 1. Sports: Football.